At Davidsons I am a Senior Accountant and work in our Tax and Business Services Division (Torquay). I chose Tax and Business Services as a career as I am passionate about helping my clients with not only their tax and business problems, but also assisting with their long-term financial goals. My clients love working with me because I have a strong work ethic and maintain clear and honest communications and I go above and beyond to ensure the job gets done. The team would describe me as extremely competitive but also as someone who loves to have a fun time. I not only love to ‘win’, I love to see my clients win at achieving their personal goals. Something you may not know about me, outside of work during Winter / Autumn seasons, I play semi professional basketball for the Stingrays (and historically the Supercats). I spend most weekdays training during this time and my weekends are spent travelling around Victoria playing other clubs. The number one thing I love about Davidsons and my career is the opportunity I have to connect to people (both internally and externally). I have made some life long friends from Davidsons and been able to help my clients grow and succeed over the past 7 years which is extremely rewarding. Michael joined Davidsons as a graduate accountant in 2012 and has worked in Tax & Business Service and Audit for the last 7 years. Michael is an accredited CPA Senior Accountant and is currently located in Torquay in the Tax and Business Services Division. 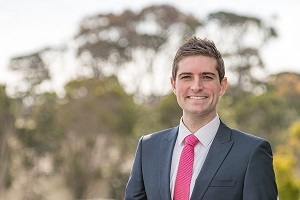 Michael has a range of clients in the Accommodation and Tourism industry as well as the health / medical industry giving him a strong understanding of the needs and challenges clients in these industries face. Michael forms part of the Torquay team responsible for ensuring not only tax compliance tasks are completed on time, but also works closely with clients on a daily basis to ensure their business operations run as smoothly as possible. How can Michael and the Torquay Tax and Business Services Division help you? Manage the preparation of Financial Statements, Business Activity Statements and Fringe Benefits Tax and meeting of taxation reporting and lodgement obligations. Assist with factual Structure Advice & Taxation Planning ensuring Tax Management and Asset Protection strategies are implemented and maintained. Provide Capital Gains Tax advice for complex business and personal assets. Prepare cashflow budgets and industry benchmarking analysis as well as completion of Management Reports. If you would like to get in contact with Michael to discuss any of the above, he is contactable on (03) 5244 6847 during normal business hours.